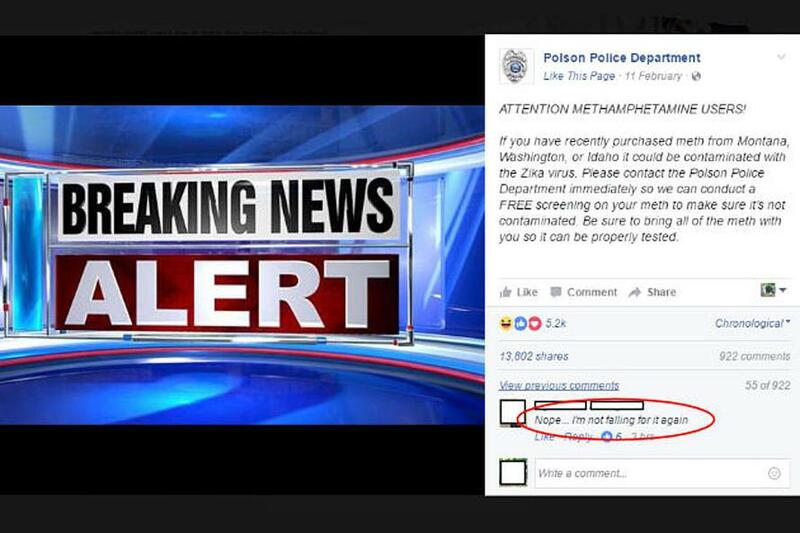 The invitation and warning was posted to the department's Facebook page to spread awareness of the "threat" while offering "test" batches of meth "for free" at their department, and further advising all state residents possibly in possession of crystal methamphetamine to bring it to a local police department. And in what appears the most epic police attempt yet at uncovering and busting meth labs across the state, the department goes so far as to offer a home visit for "those not comfortable going to the police station." The post is signed Officer Moody. We can only imagine the paranoid and hilarious conversations to ensue among area meth producers and addicts. Perhaps police will have the "success" stories later posted online as well in the form of police reports and mug shots? 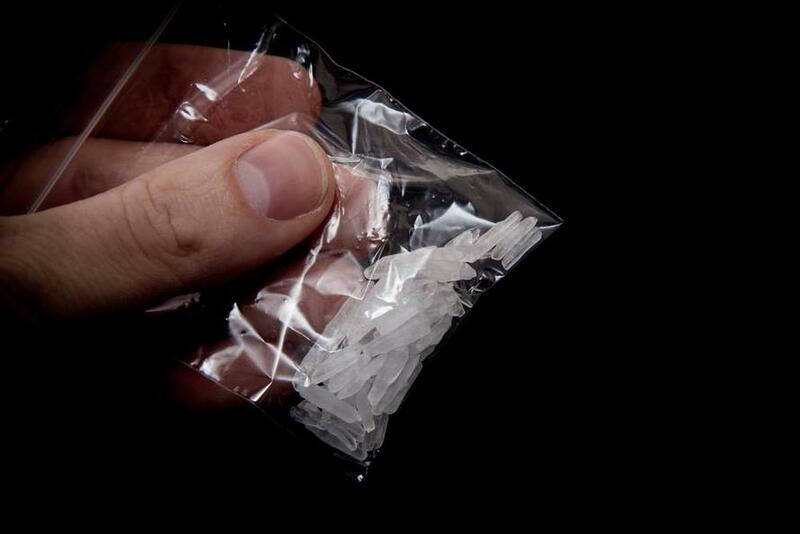 "Crystal meth is poison. It's evil. Anything that will take a mother's love from a child is a bad drug. Anything that will make a man lose custody of his children and not be able to see them is evil. Yeah, we're going to combat it any way we can," Bailey said. Nope...i'm not falling for it again. Other past public notices have involved "testing Meth for Gluten" for those needing to go with Gluten-free meth. 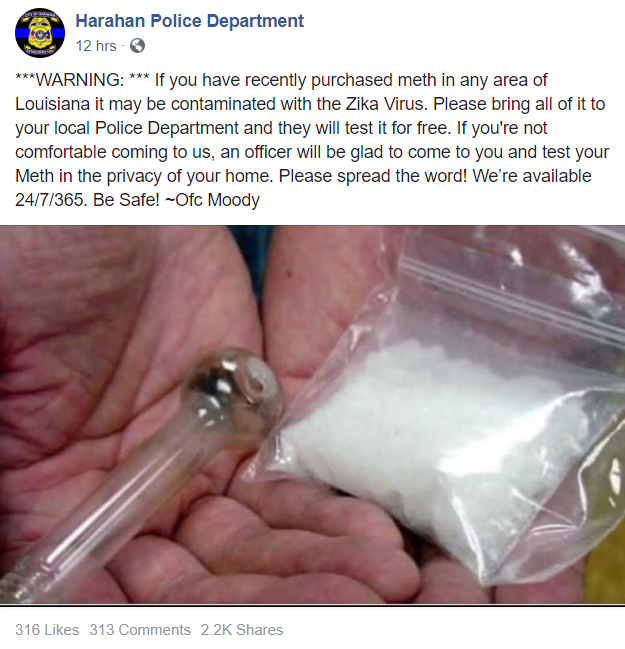 If the police are going to attempt to "fool" the public, we only ask that should they actually make a meth bust via a gullible dealer calling them for a "home visit" to a makeshift lab on some remote country property, that they film and document every moment of it for posterity.